During a pro-women panel debate in Stockholm, Swedish Foreign Minister Margot Wallstrom, credited with being the driving force behind the country's 'feminist' foreign policy, minced no words in attacking the Canadian psychologist and fierce critic of identity politics and political correctness, saying that she "can't grasp why people waste so many time on that man". "I believe [Jordan Peterson] should crawl back under the rock he crawled from," Wallstrom said to a cheerful crowd at the event, which was also attended by fellow feminists Melinda Gates and singer Robyn. Peterson recently visited Sweden to promote the international release of his new book, '12 Rules For Life, an Antidote to Chaos'. Despite the fact that Jordan B Peterson received an enthusiastic welcome during his visit to Sweden, numerous Swedish public figures have spewed venom over the popular Canadian psychologist. 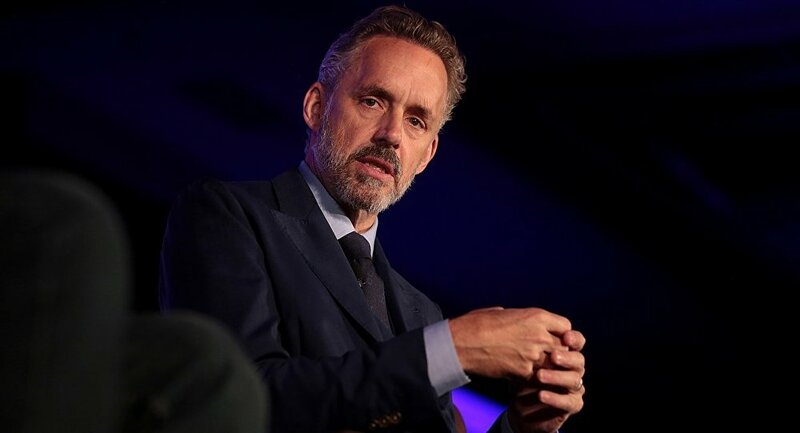 Sweden's leading daily, Dagens Nyheter, ran an editorial by columnist Lisa Magnusson, in which Peterson was dubbed "the most important influencer for involuntary celibates". While Peterson himself apparently hasn't addressed Wallstrom's claims at the time of writing, her verbal attack prompted reactions in Sweden, making it the most written-about event of the day. "I'm embarrassed. Margot Wallstrom should be ashamed and apologize to both Jordan B Peterson and her own employer, the Swedish people", writer, blogger and Moderate party member Rebecca Weidmo Uvell tweeted. — Rebecca Weidmo Uvell (@RebeccaWUvell) 7 ноября 2018 г. ​"The rock Jordan B Petersson crawls from is the University of Toronto, one of the world's foremost universities. Margot Wallstrom can only boast three years at Nordanå Gymnasium in the city of Skellefteå", another user pointed out. "The nerve of Wallstrom. Wasting Swedish tax money on child murderers, hugging terrorist leaders, saying anti-Semitic howlers, kowtowing to misogynist dictatorships like the Saudis, and then criticizing JBP? When will this batik witch stop disgracing Sweden?" writer and blogger Katerina Janouch said. In a later-deleted tweet, Moderate MP Hanif Bali called Wallstrom an 'overwintered anti-Semite', stressing that she had no problem criticizing Peterson behind his back. While this triggered protest among many prominent figures, including Social Minister Annika Strandhall, many drew attention to the fact that Wallstrom was labeled persona non grata in Israel and put on the list of anti-Semites by the Simon Wiesenthal Center. Later, Bali also called Wallstrom "the equivalent of vegans who throw paint on ladies in furs but shut up when leather-covered Hells Angels pop up". "I'd rather Margot Wallstrom crawled back to that apartment she fraudulently received from the municipality and stay there," another user wrote citing a housing controversy where the politician got an apartment through a union and paid extremely low rent. Wallstrom is known for sparking controversy over calling Saudi Arabia a 'medieval dictatorship'. In 2017, she also joined the #MeToo campaign, stressing she herself had experienced sexual harassment 'at the highest level of politics'.